Sugar Mill, a private tranquil 55+ community is noted for its quiet, pleasing, and delightful atmosphere. Our spacious and charming homesites are nestled among the palms and ponds where sugar mills once occupied the land. Our residents are excited to be close to attractions, fishing, golfing, and shopping not to mention a short drive to beaches and cruise terminals. Visit Sugar Mill today and see why we say, "Life is Sweet." You will not be disappointed! FINAL PHASE NOW OPEN!! Sugar Mill homesites are in demand and we've made it easier for you to live the sweet life. Come move into our newest neighborhood at Sugar Mill today! 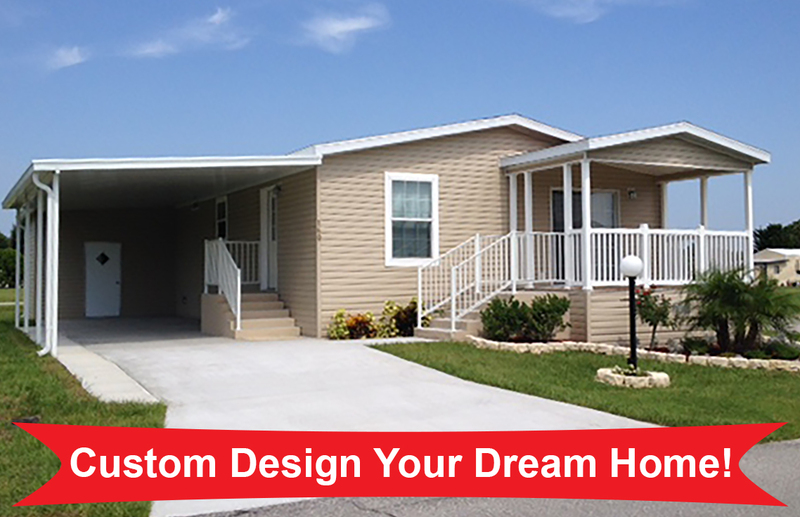 DESIGN YOUR DREAM HOME TODAY! Enjoy the "sweet" deal and get 3 months free with your new home purchase! While building a traditional site-built home from the ground up is an incredibily expensive venture, you can have all the benefits of a new home at the fraction of the cost when you design the home of your dreams now at Sugar Mill! Manufactured home prices are not too good to be true - they're too good to pass up! Why settle for someone else's dream when you can have your own? Design a brand new home on one of our newly developed premium homesites! Our on-site sales representatives are here to help you every step of the way. Don't delay. The lots are going fast, so don't wait or someone else's name may be on the mailbox! Design your dream home with one of these manufacturers: Skyline, Jacobson, Palm Harbor, Home of Merit and many others! February 14, 2019 For Valentines day reservations go online! Space galore in this kitchen! Big yard and enclosed screen room! Check it out today! Your New Home - Right Here! Order now for the lowest prices ever. Customize your new home today for our newly developed 32 space expansion! Be the first one to live in that home and on that lot! Don't miss out! This home has been SOLD. But we do have other great homes available. Take a look through our website and find your new slice of paradise. You'll see why life is so sweet at Sugar Mill!